The end of the dcs hand held controller? Does anyone out there still like the simplistic idea of just to grab a ZW handle and run your trains? I agree but for me it is a KW. I hope that 3-rail manufacturers continue making locomotives that can be operated with conventional transformer AC track voltage control. For small or simple layouts such as mine, the modern systems are not necessary and, in my opinion, not worth their trouble or expense. And, as with the DCS remote (according to TURBGINE), they will eventually be replaced by some new system that makes my beautiful but older equipment obsolete. At that point, the new products will have to run conventionally or I won't be a buyer, but I don't think the manufacturers will care or regard me as their target market. Melgar, the wifi app does control conventional locos, as does the remote. Both have one undeniable benefit over the ZW handle: walkaround control. I also like running trains with a transformer. I don't have a ZW, but I do have several other postwar transformers that I use. But--I also enjoy running trains with a remote, and I enjoy running trains with an app. With either of these, controlling switches, power blocks, and accessories is even easier than with conventional control. Each of the modes of control provides a different experience. Each is satisfying in its own way. My battery expense budget was cut down by 2/3rds after upgrading to the App. The remote was neat, for its time. I did when I was a child. Now I like my toys to be a bit more realist. I follow along with the train and blow the horn/whistle and use the bell where appropriate. Switching is a lot easier when you are next to the engine. That said, I do like the handheld because I don’t have to look at it to activate many of the features I like (I don’t use many of the soft keys). I use the app for some engines but in general I prefer the handheld for running. I will adjust to the app after my 3 handhelds die. I bought the MTH wifi last October and hooked it up and it works great but since October I have only ran my tains with the wifi twice and I run my tains almost every day. I prefer the handheld, plain and simple. I will be selling the wifi very soon, if interested send me a email. I prefer the hand held controller. I can watch my trains and not some LCD screen. As retired tech guy I wanted to get away from issues with routers, IP numbers, cables, Internet providers and all the assorted tech problems. I have many MTH engines and think that they did handhelds better. I can run my Lionel TMCC better with my MTH DCS system. The fact that MTH does not support Apple OS for system upgrades leaves us Mac users out. If your MTH engine is not responding to your wifi app, who do you call? I suspect you will get the "it is not our _____ it must be your ________fill in the blank: ISP, your router, your app your software, your cables, your ______ And it could be! With the hand held MTH controller, TIU and MTH engine it can only be one company's problem, one phone call or email. Additional 2 cents worth, I like the Lionel Bluetooth. Simple, built in and no extra equipment to hook up or internet providers. I am certainly no luddite, but like things that just work right out of the box. As I read most of these posts it comes back to me why I ditched DCS and TMCC and went BPRC. In almost 5 years I've had ZERO problems. The only time I've had to read any instructions was when I was installing the components in my engines, which was straightforward. The Deltang system currently has no sounds, which is fine with me. If I wanted any sounds it would be only bell/horn/whistle, steam chuff, and diesel rumble. The trains make enough sound/noise going around the layout as it is. To me the bonus is I can actually hear what the engine is doing, if it has any unusual noises, slipping, etc. Also, I have yet to try connecting a smoke unit, but then again I removed all the smoke units from my DCS/TMCC engines anyway because I didn't like it. The BlueRail system has generic sounds that emanate from the Ipad, but a bluetooth speaker can be installed in the engine and once connected to wifi the sounds will come out of the engine. I have a Williams E7 configured this way. The one thing I have to do is charge the battery in each loco periodically, I normally get 2-1/2 hours of run time between charges. I use 9.6 and 12v, 2000Mah NiMh batteries and 11.1v 2200Mah LiPo batteries, no problems or replacements in 5 years. I keep a log of when I recharge each engine just to see how things are going and to collect data. You do need a charger for each type of battery. As far as expense, in the long run I'd say BPRC is cheaper, at least when converting a conventional engine. No expensive clunky power supply to get, no wiring, no operating books. I don't have a single wire on my layout right now. I may eventually rewire my Atlas turntable but for now the handcrank is doing fine. Bottom line...I've had all 3 systems (DCS, TMCC, BPRC) and I can tell you BPRC is less of a headache than the other 2. Currently it does have it's limits as far as sound, but I decided several years ago that sounds are something I can live without or at least the bare minimums. Once installed, there are no manuals to read to figure out how to move an engine down the track. ALL 18 of my engines have been converted to BPRC, from a MTH NW2 and up to a 3rd Rail E7. It's not for everyone though. If you have no electronic/soldering skills then stick to DCS/TMCC, but if I can solder 2 wires together anybody can. As to which BPRC system I prefer, right now it has to be the Deltang-based system. The Ipad I have is too clunky to mess with for 2.5 hours (and I don't have an Iphone). BPRC is being used in N, HO, S, and G also. Not only are they using Deltang and BlueRail, but a bunch of folks have even installed of the shelf RC components and an extremely low cost. I have a BlueRail system installed in a Bachmann G scale 4-6-0 running off a 12v 2000Mah NiMh battery with bluetooth speaker and runs great. No sound, no smoke? I think I'll stick with the current systems. Just to add. Its odd that a system as ERR kits to upgrade engines to remote control, been around for so long is still being used to upgrade engines. Yet, for some reason manufacturers now want to add cost to upgrade engines to be able to change to their WiFi way of controlling engines. Odd also that I hear that components that are used in the hand controllers are becoming obsolete. Obsolete? seems rather that upgraded components are available to keep handhelds in production? With dwindling, from what I hear on Model Railroading, getting newer youngsters interested in the Hobby is fading. Now it seems they want it to also fade slowly on those that will not accept WiFi. Be interesting to see how many remain or come into the Hobby once remotes are gone and WiFi is the only alternative except for conventional. I agree with guns, no sound, no smoke not worth my time. So when your handheld DCS/TMCC remotes are gone, you're gonna box them up or throw everything out??? Just showing folks there IS an alternative. Remember, the title of this thread was about no more DCS handhelds. I've even tried playing sounds with my Alexa (Amazon Echo Dot) as background noise ("Alexa, play train sounds"). When I have trains running I can't hear anything but a faint sound and my layout is fairly quiet. For those that (1) can no longer find a DCS/TMCC handheld and (2) can't stand the sounds or the smoke, here's an alternative for you. Those who have shelf queens or conventional engines and want to have walkaround capability, here's an alternative for you. Unless RC completely goes away there will, in all probability, be something RC that can be installed in an engine. I agree David, I love the sound and smoke. There is a possibility for RC trains but need more development. I do know several garden rail folks that have converted to RC and have sounds. Like CapPilot I walk along with train and do lots of switching. Do not need to look down at the handheld even with the soft keys for blowing horn signals. The wifi with phones and tablets are not getting kids into the hobby. The kids that uses those devices find better entertainment on those devices than running trains. In getting kids interested I think Lionel has better chance. With Lionel Chief Plus it is Simple to set up and has a handheld or Bluetooth. Do not need all the wifi tech. Well, you're the one that brought up the other topics. Speaking of Alexa, does anyone know how you go about offering them sounds (RR sounds) to add to their database? I know someone who has a number of LPs with train sounds of N&W and others. The thumb wheel in MTH remotes requires a press in order to make a selection from the the LCD (kind of like the wheel on a computer mouse). The wheel is suspended by a plastic cradle that eventually fails because its plastic and semi brittle. When this part fails the remote doesn't work. If this part was metal or easily replaced, then our MTH remotes would last longer. Both of my remotes have broken thumb wheel cradles. The WiFi app and WIU cost about the same as another DCS remote. Plus I can use any iPhone, iPad i can install app on. I can easily share the app, WIU password and control with any visitor to my layout. I'm use to using apps on my phone with my TV, Cable , AV systems. Apps have replaced almost every remote in my home. The connection to engines is fairly fast and reliable when the display is on. I like that the app can be easily configured so I can play the whistle of my PS3 engines. Occasionally my phone will switch from the MTH WiFi to my house wifi thus disabling control. I've resolved this by dedicating an old iPad than only has the MTH WiFi channel configured. MTH Wi-Fi DCS app needs an option or mode to keep screen lit and to disable lock screen on iPhones when in use. My Waze and Amazon Music apps stay lit (and available) as long as my phone is plugged in/on charger. I have a iPhone XR that has face recognition to unlock screen. While that is a convenient feature it still take a second to unlock phone and re-acquire control. True keeping the screen on would wear down battery but I have a charging cradle for phone and iPad. The user interface needs rework. The speedometer takes up too much space on the home screen. Speed control could be performed by a vertical slider (like track voltage slider in Track mode). Or better yet via the physical volume up or down keys on the side of the phone. Because the speedo is so big (much of which is useless since no sane operator routinely runs engines over 60 smph), decouplers, rev up/down, PFA, Brake, smoke, etc are all on a secondary screen. On iPhone X, XR, phones with the 'tab' at the top of the screen, it has become difficult to select/switch the currently controlled engine because the 'tab' takes the top half of the selection area. Horizontal sliders to adjust settings like volume and max speed are nearly impossible to adjust since swiping side to side is how you switch from Control, to Function, to Settings screen. Reduce the size of the speedo to fit all of operation functions onto one screen then make swiping up/down for swapping screens. Side to side for setting sliders would be easier then. Allow the iPad interface to rotate to landscape and allow user to display and control multiple engines side by side. A subtle touch required to swap the order or activate/deactivate list of engines. Bottom line is I prefer the MTH WiFi app mainly because I've gotten use to it and it works reliably. As you can see by my list of cons the app could be significantly improved. I agree that I miss being able to control key functions (speed) by touch. This could be addressed by allowing app users to configure how volume buttons are used on phone/tablet. What would be interesting would be data on the type of layout operation the remote fans and the wifi fans use. I will usually have many trains running on intersecting routes, and find the remote to be easier than the wifi. I have had two wifis from their first release, and find that when activities get hot & heavy, I can't keep up. If I have only one or two trains running, I can keep up on the wifi. Is this typical or atypical? Absolutely! I got suckered into TMCC, and I am working my way back out of it. In the meantime, when I can get it to work, the remote is more than enough. I *am* a self-confessed Luddite, but conventional trains run without worrying about signal loss, dead batteries, or compatibility. I don't care if the pundits declare my method obsolete. It works. My sons--21 and 18--are completely satisfied with transformer control--there is no direct correlation between age and tech-y-ness. I don't have a "device." I do have WiFi in the house just to save on wiring costs, but my desktop and I are wired. For trains, I want the tactile impression of moving a throttle. I just can't get that on a screen or even with a wheel. Gimme a lever. Technology is always changing. Remember when TMCC came out, similar responses. Embrace it, WIFI is fun in my opinion. You need a WIU to go with each TIU, so if you have a layout that grows, you need to buy another WIU with each TIU you add. That (in my mind) sort of negates the "cost of WIU + app ~= cost of new remote" benefit. This works both ways. 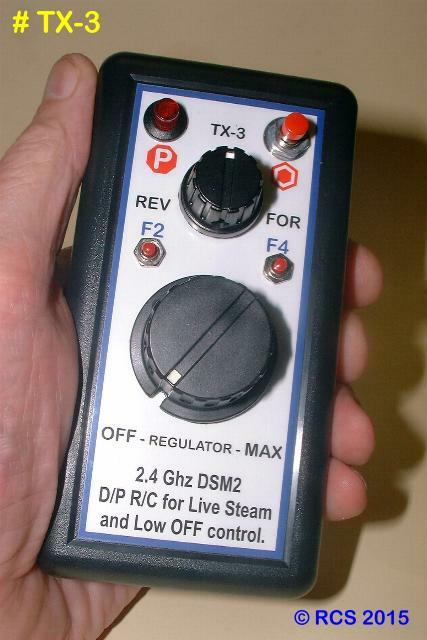 For each user, you need to have a DCS remote. So if you have one TIU and three people who want to run trains, you need three DCS remotes that are similar in price to a WIU. One of the club layouts that I participate in has 4 TIUs all with WIUs as well. We have had up to 12 users on the layout operating at one time using bargain tablets that cost much less than a DCS remote. If you've blown enough money on a layout that has expanded to the point of needed two or more TIUs, I don't think the additional WIU's will break your train budget. Right on. $500 and up engines, or anything else that goes on the layout or track is no problem. But $20 shipping or , my favorite , the Paypal fee on a $30 car, are "outrageous". Wifi is nice but it takes two hands to operate, the remote only needs one hand and I don't have to look at it. I watch my trains not the screen. I like to operate my trains with a lot of switching and spotting of cars. If I was just letting the trains run in loops then I could get by with the app. And the remote is easier to operate all my switches (25). In your opinion. In my opinion, it's a PITA. Embracing it is like embracing a porcupine. The weather is always changing, too, but that doesn't make tornados fun. YEP = Unless your a Tornado Storm Chaser its all a matter of opinion and regarding opinions I guess we all gotta em. DCS came out 20 years ago it was the same " I cant figure it out" but it works. To each his own.